LAKEWOOD — The Terminal Islanders marked their 45th year as an organization during the 2016 Shinnen Enkai on Jan. 10 at The Centre at Sycamore Plaza in Lakewood. 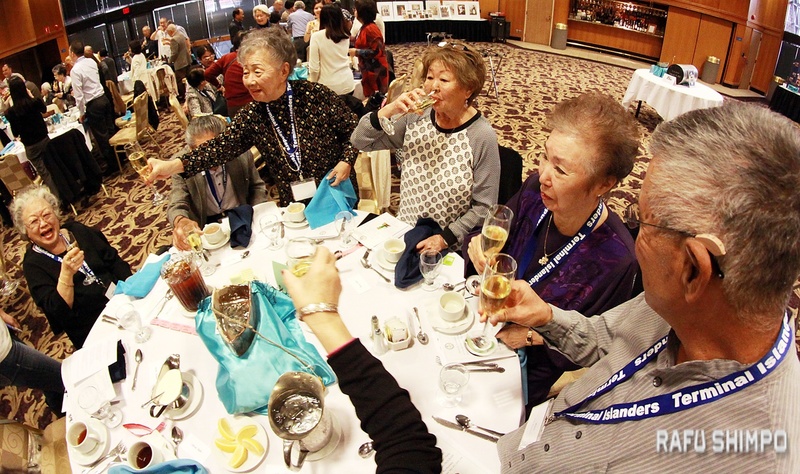 Attendees came from as far away as Texas and ranged in age from little kids to nonagenarians, all with connections to the Japanese fishing village in San Pedro that thrived until World War II, when it was evacuated and razed. 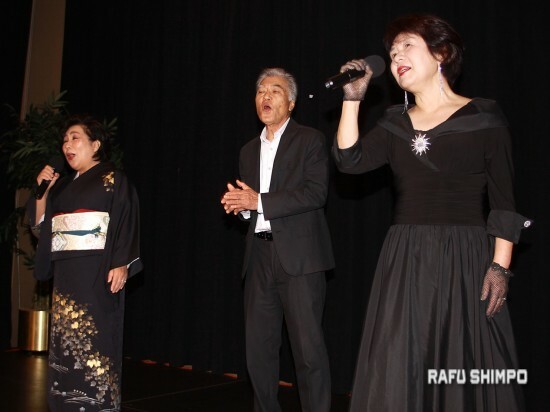 The three were Kisaye Sato, Nori Hiromoto and Yukio Tatsumi, all of whom serve as advisors to the club. Co-emcee Charlie Hamasaki, one of the club’s vice presidents, introduced special guests and sang the “Terminal Island Yogore Song,” which was written by Minoru Hinoki while interned at Manzanar. In his president’s message, Min Tonai noted that he will turn 87 next month and expressed hope that the Sansei and Yonsei generations will keep the club going. “I’m glad to see the old Terminal Islanders, people I knew, people who were born and raised on Terminal Island,” he said. “It’s a wonderful place that we all enjoyed … It was our hometown. We got to do things without having to be worried about prejudice or worried about people not waiting on you or things like that. 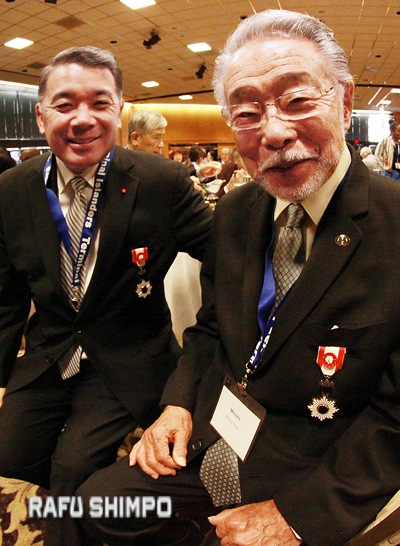 Both Tonai and former LAPD Deputy Chief Terry Hara were recognized for receiving the Order of the Rising Sun from the Japanese government last spring and last fall, respectively. 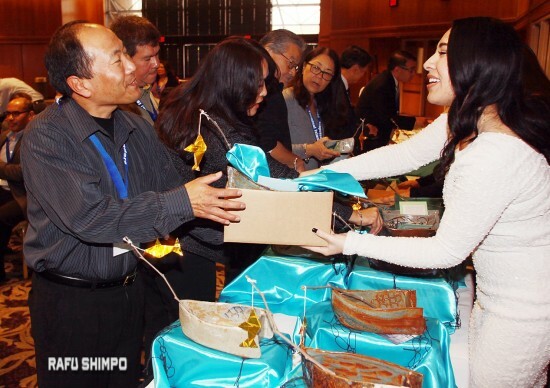 Other club members who have received a Kunsho are Tatsumi, the late Bill Nakasaki and the late Tom Kamei. Recipients include those who have contributed to the Japanese American community and promoted U.S.-Japan relations. In observance of the Year of the Monkey, prizes were given to attendees born in 1920 (including Tatsumi), 1932, 1944, 1956 and so on. 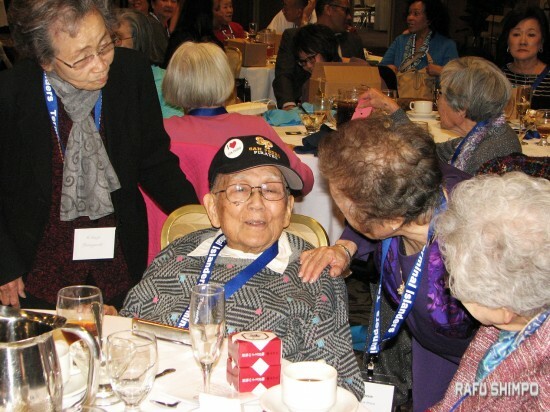 Prizes were also given to the oldest man and woman in attendance, Kenji Yamamoto, 98, and Kisaye Sato, 95. The guest speaker was Sandra Tanamachi, formerly of Beaumont, Texas, part of the group that came the farthest to attend. The daughter of a Terminal Islander, she is known for her 12-year campaign to rid three Texas communities of their racially offensive street names, Jap Road in Jefferson and Fort Bend counties and Jap Lane in Orange County. She taught school for 32 years and received numerous teaching awards. 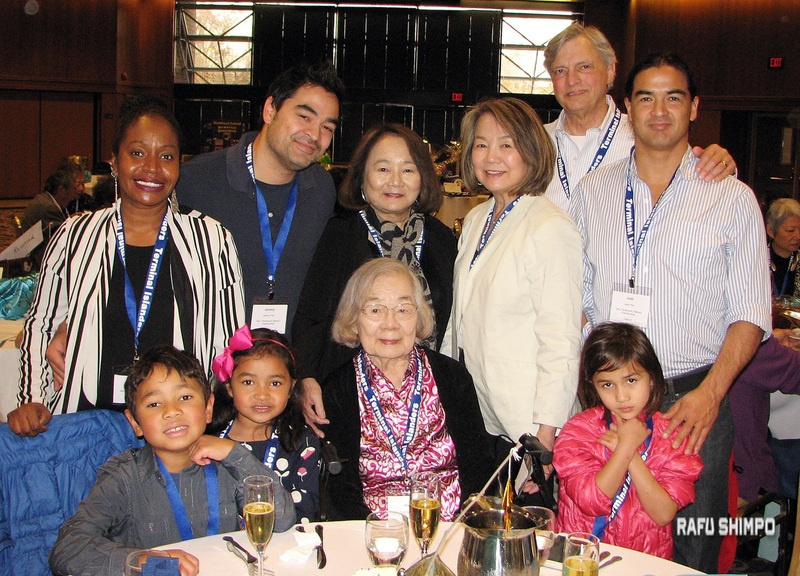 When the war broke out and the family had to leave Terminal Island, her mother’s friend Kikue Furutani, a Japanese language teacher, helped them move to Norwalk. From there they were sent to the Santa Anita Assembly Center, and later to the War Relocation Authority camp in Rohwer, Ark. “My mother worked in the mess hall,” Tanamachi said. 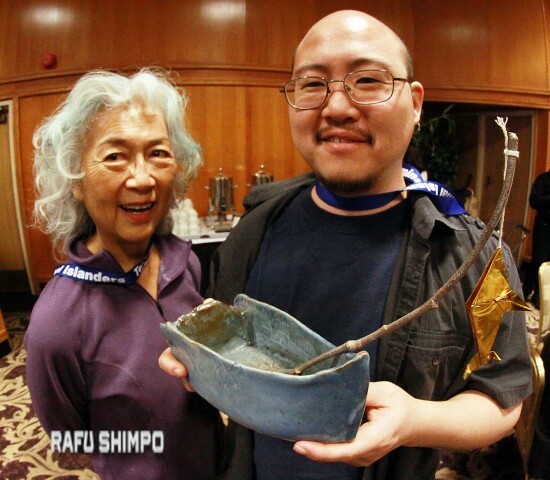 “Then in 1943, she met and married our father, Jerry Jiro Tanamachi. Kikue Furutani was her matron of honor. So you can tell her roots in Terminal Island were very deep. Tanamachi also talked about her family’s military ties. 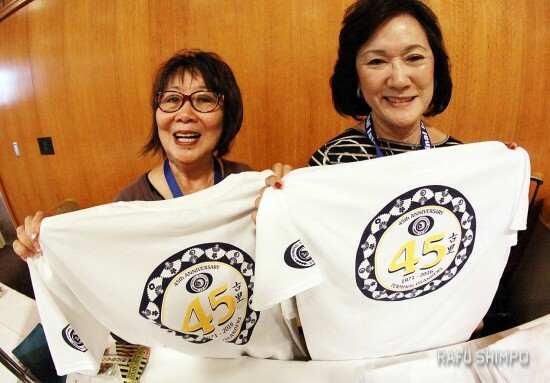 “My mother’s brother Taira was in the Military Intelligence Service and served during the occupation of Japan. My mother’s sister’s husband, Happy Kitayama, was in the 442nd Regimental Combat Team as a cadre; he trained replacements for the 442. 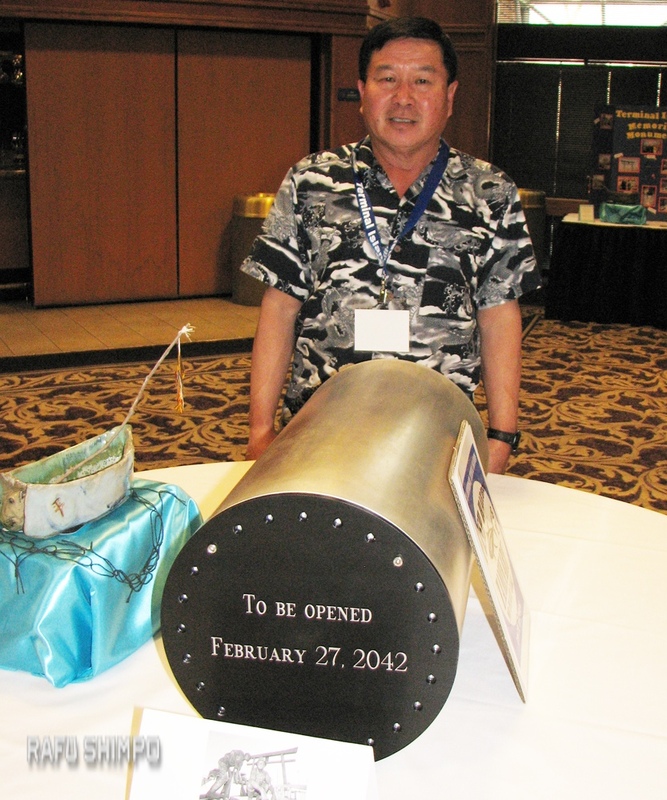 Proceeds from the silent auction and sales of the centerpieces went to the club. Also on display was a time capsule to be opened in 2042. Members were asked to bring documents, photos, diaries and other items to the annual picnic in June for placement in the capsule. Board member Kelsey Kwong, a current Nisei Week princess, sang show tunes, including “Some Enchanted Evening” and “I Could Have Danced All Night,” as well as opera selections. great story! You integrated all of the elements very well.